Orthotic bracing such as custom stance control KAFOs (Knee-ankle-foot orthoses) and AFOs (Ankle-foot orthoses) can provide significant gains in mobility and stability for patients with conditions such as partial paralysis, dropfoot, MS, and post-polio or post-stroke indications, but proper gait and balance training is every bit as important as the device itself. To give physical and occupational therapists better insight into the technology behind Ottobock orthotic solutions, we've put together a set of resources for you to research and incorporate into your practice. Our comprehensive suite of stroke solutions, coupled with our commitment to innovation, is redefining the path to rehabilitation. Learn how we are helping to redefine recovery. 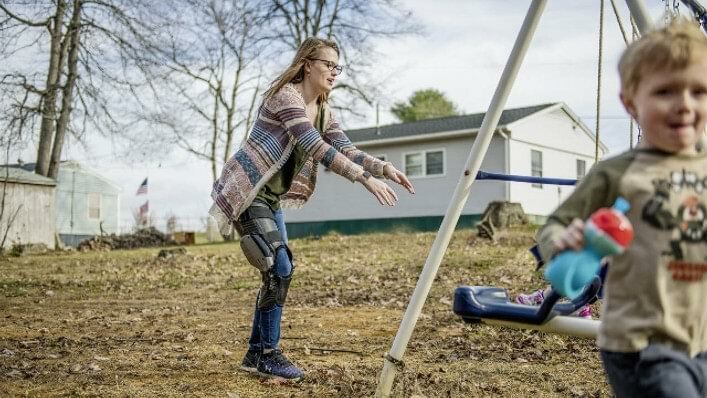 Using microprocessor sensor technology, C-Brace can help facilitate positive functional outcomes for patients with lower limb neurological impairments. Click here to get answers to reimbursement questions, product information, and other resources.